This one from Salsa Cycles comes with a nice front rack and mounts for fenders and a rear carrier. Nice! 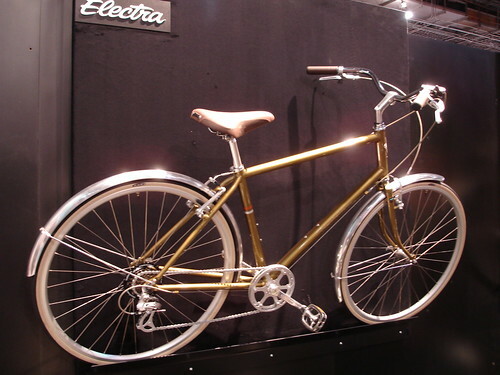 Here’s an Electra Ticino in a “mixte” style…beautiful hammered-finish fenders and all the mounting points one could ask for. 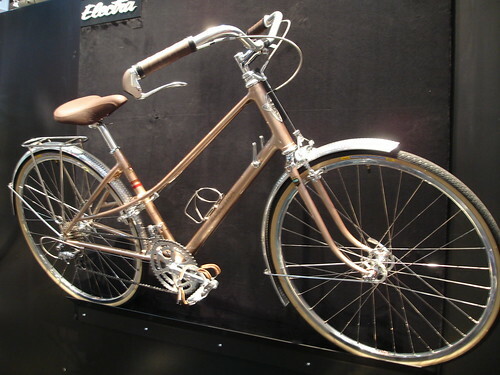 Another Electra Ticino…this one in a more traditional diamond-frame format. 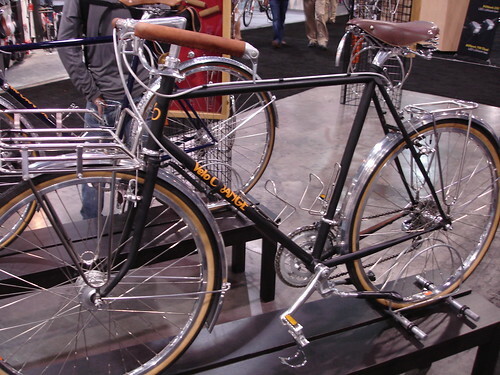 Same great features as the mixte bike above. 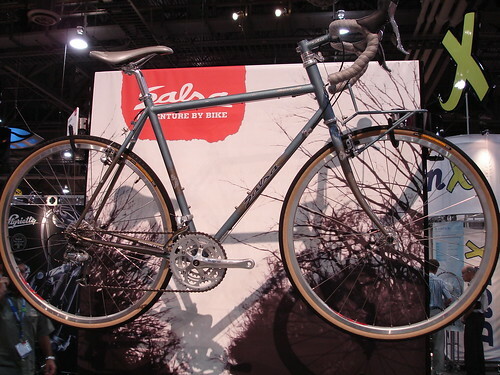 This is a Velo Orange “Polyvalent” frameset…but one that could be built up into quite a versatile machine…rack points front and rear, upright and stable rider position and great looks without being too flashy. 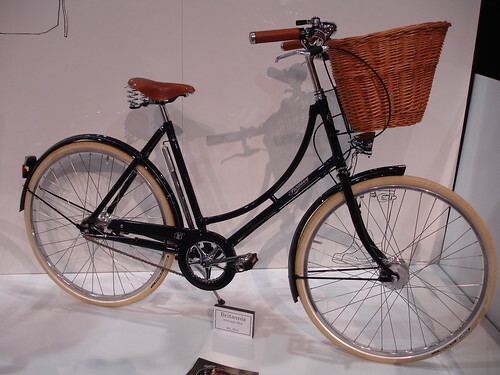 Pashley had a huge display…while their bikes are rather expensive, they come with a lot of desirable features such as generator hubs and lights, racks and full-coverage fenders. 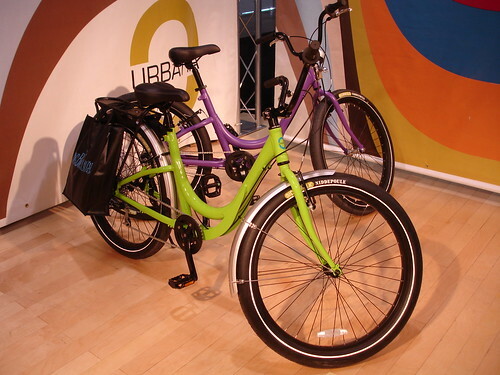 Our friends at Urbana had a great display…all the colors of the rainbow in their sturdy, versatile bikes. We did a review of one of their models a few months ago, and with a little luck we will be testing their electric-assist version in the coming months. A quick look at the e-version suggests it’s going to be a hit — they didn’t cheap out on the e-assist kit they chose. There were many many more…and I’ll get photos up in the coming days. Things are hopping for the urban utility bike segment!